Effective management is a process. It’s something you learn through experience, research and application. There is no secret formula to practicing successful management. 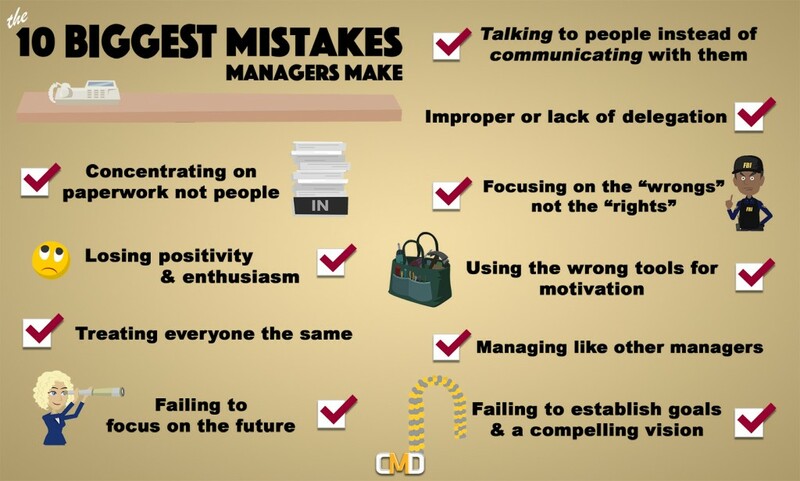 In fact, many managers have a tendency to fall victim to the same 10 mistakes. In most cases, these mistakes won’t make or break a career – but avoiding them will help your relationship with your team, as well as the progress you make within your organization. It’s important to fully understand how these actions come about in the workplace and what practices can help lead to more effective responses when dealing with these situations. If you’re interested in tackling these issues and growing your managerial experience, the Center for Management Development offers a seminar on the 10 Biggest Mistakes Managers Make (And How to Avoid Them).